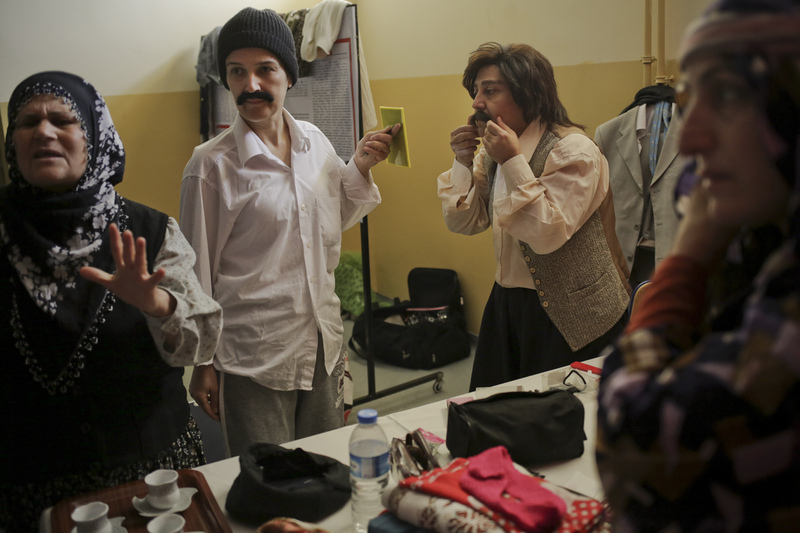 The Arslankoy Theatre Group is an all-women’s Turkish troupe that goes to tiny towns and puts on plays about issues of domestic violence and lack of education – sometimes villagers have never seen a play before, and it’s a powerful experience to see their lives on stage. 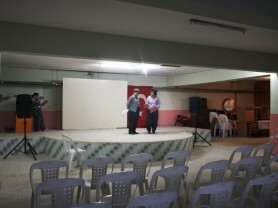 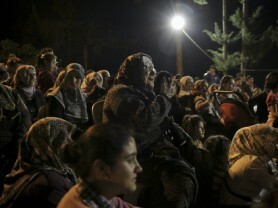 Villagers, some of whom have never seen a play before, watch a performance of the Arslankoy Theater Group, in the village of Civanyaylagi, southern Turkey, Wednesday, April 24, 2013. 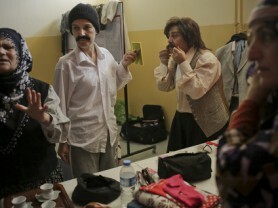 Women from the Arslankoy Theater Group, get into costume before the start of their play at a school on the outskirts of Adana, southern Turkey, Friday, April 26, 2013. 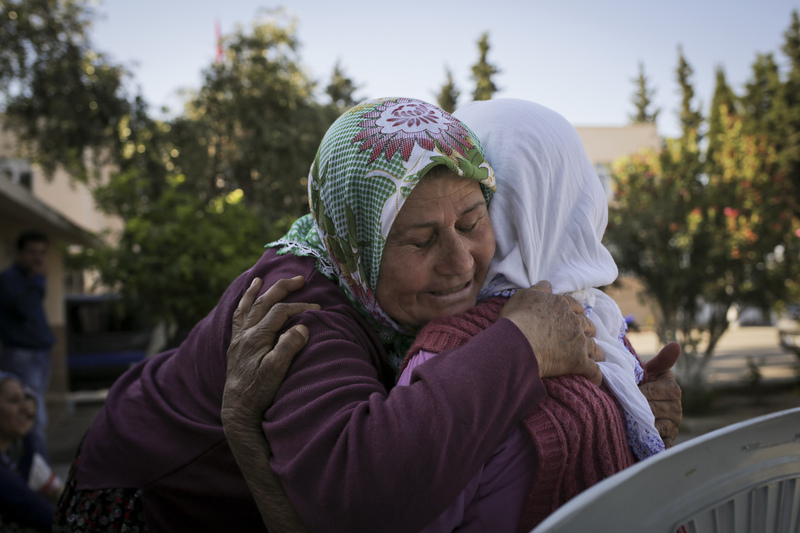 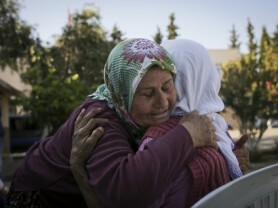 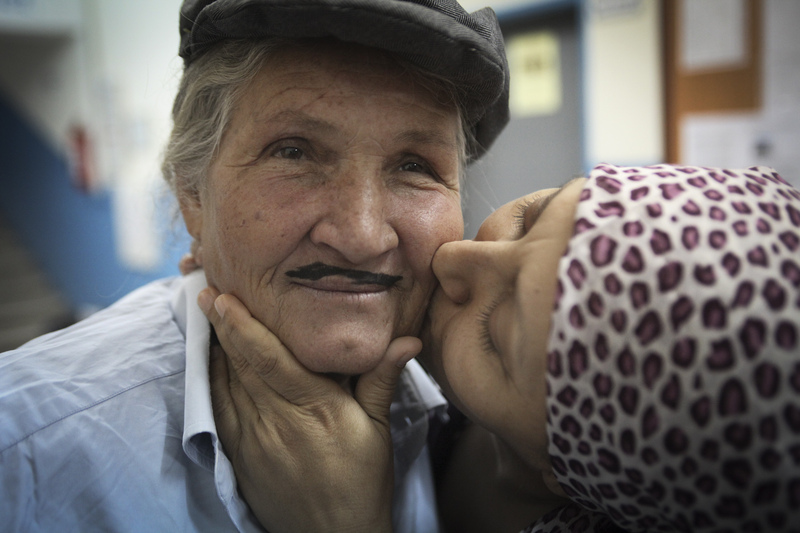 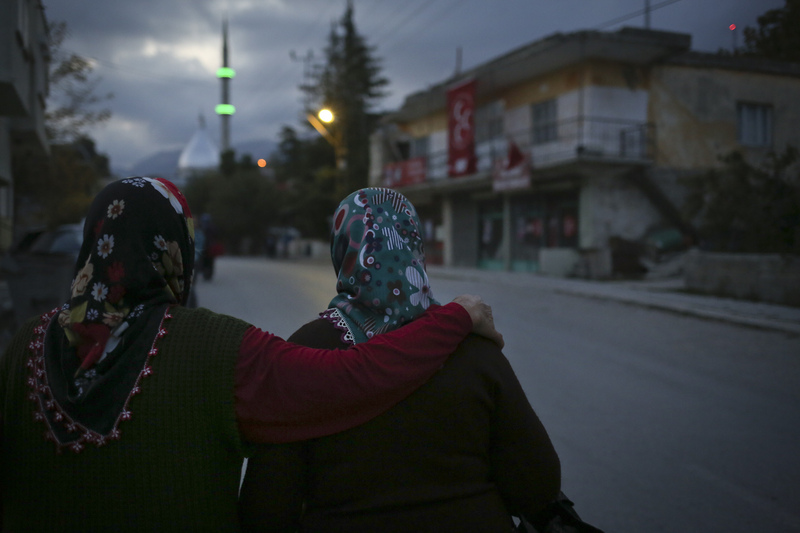 Ummiye Kocak, right, the founder and director of the Arslankoy Theater Group, hugs a friend before a performance at the local school, in the village of Civanyaylagi, southern Turkey, Wednesday, April 24, 2013. 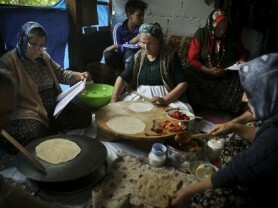 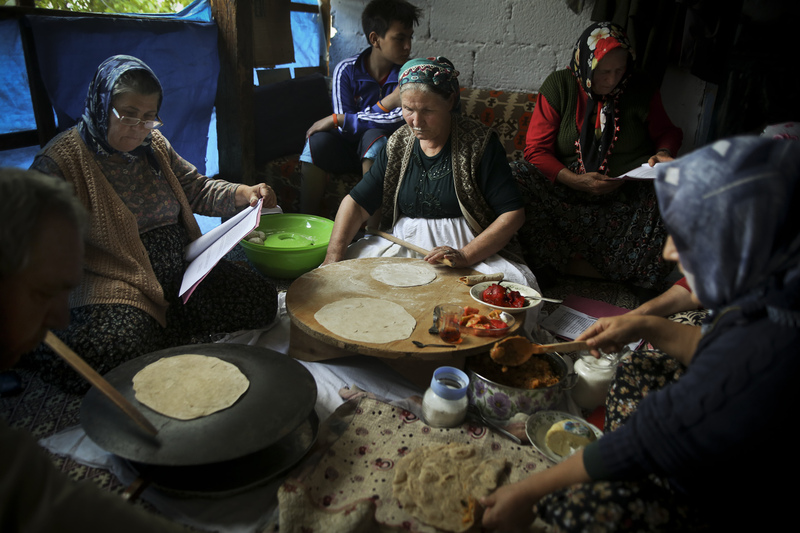 Women from the Arslankoy Theater Group, make lunch as they read over a new script at the home of Ummiye Kocak, the founder and director, left, at her home in the village of Arslankoy, southern Turkey, Wednesday, Oct. 16, 2013. 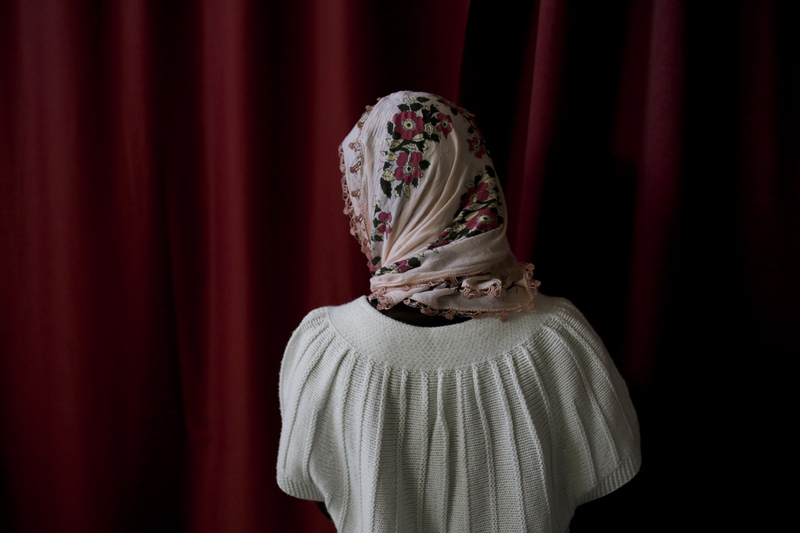 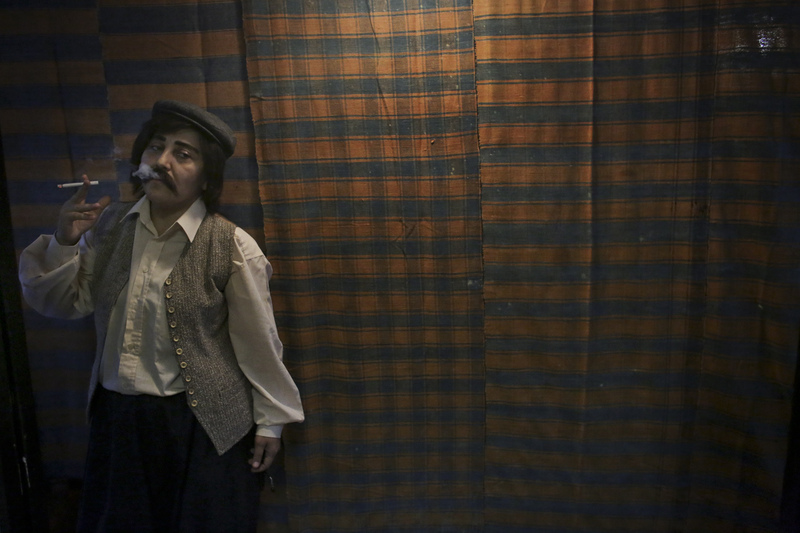 Ayfer Sen, an actresses in the Arslankoy Theater Group, waits to go on stage at a school on the outskirts of Adana, southern Turkey, Friday, April 26, 2013. 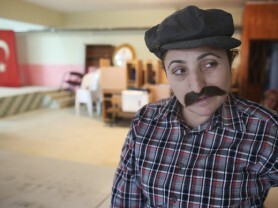 Cennet Sener, an actress in the Arslankoy Theater Group, dressed as a farmer, waits to perform villagers, some of whom have never seen a play before, in the village of Civanyaylagi, southern Turkey, Wednesday, April 24, 2013. 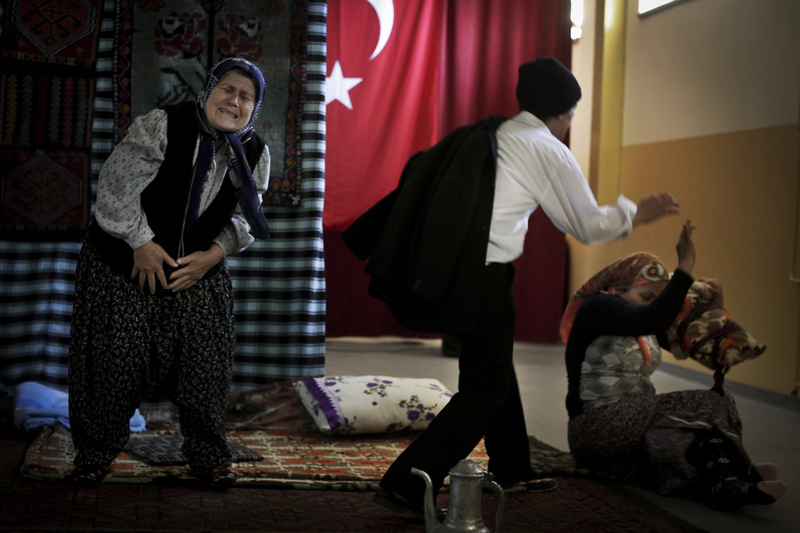 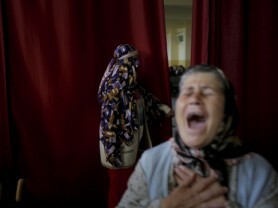 Women from the Arslankoy Theater Group perform a scene in a play where the husband comes home drunk and hits his wife and daughter, at a school on the outskirts of Adana, southern Turkey, Friday, April 26, 2013. 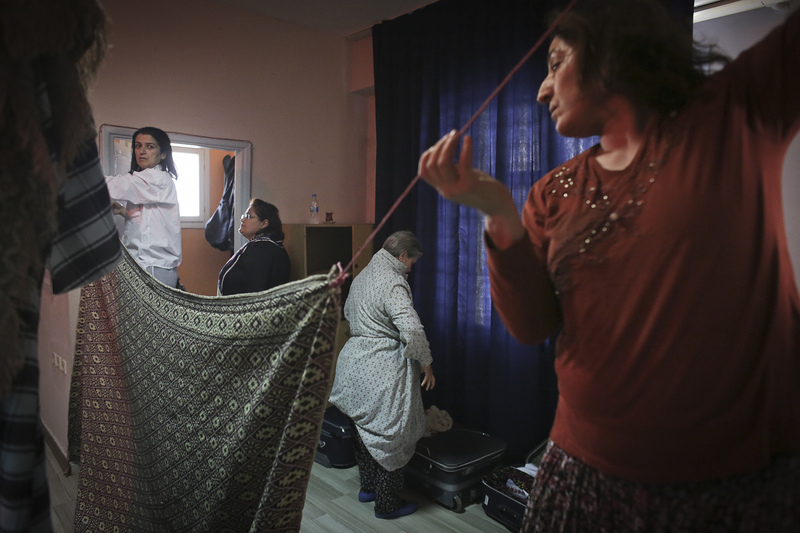 Seher Cuhadar, right, and Ayfer Sen, actresses in the Arslankoy Theater Group, hang a makeshift curtain before their perfomance at a school in Adana, southern Turkey, Thursday, April 25, 2013. 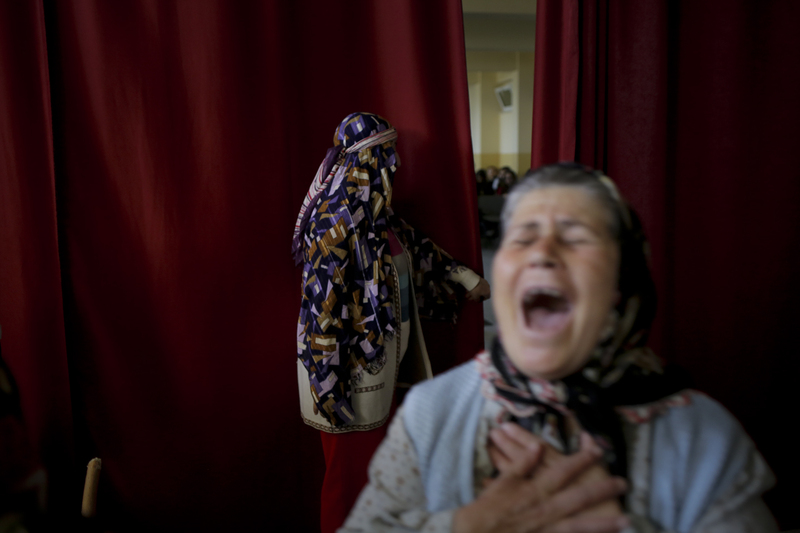 Ummiye Kocak, the founder and director of the Arslankoy Theater Group, laughs after making a mistake during a performance at a school on the outskirts of Adana, southern Turkey, Friday, April 26, 2013. 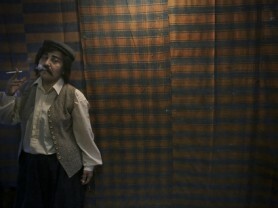 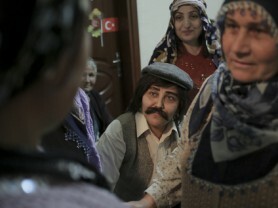 Cennet Sener, center, an actress in the Arslankoy Theater Group, dressed as a farmer, gets into character before the start of the play, in the village of Civanyaylagi, southern Turkey, Wednesday, April 24, 2013. 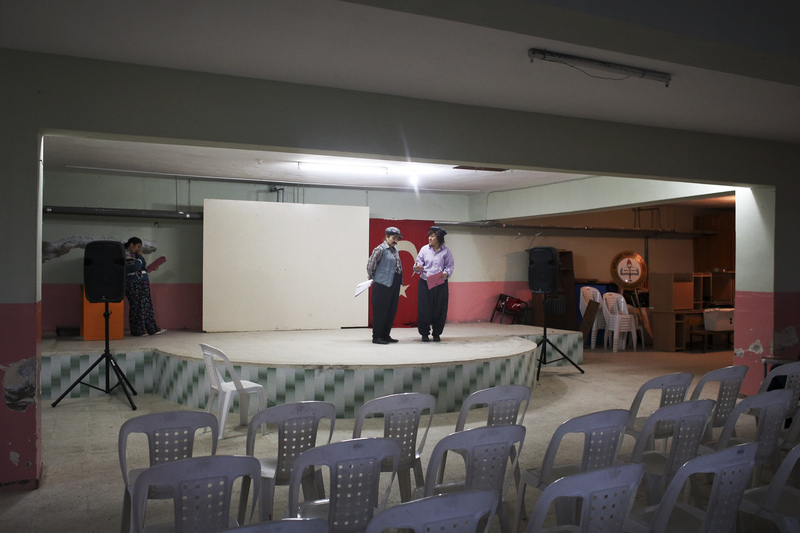 Women from the Arslankoy Theater Group, practice their play before the start of their performance at the local school, in her village of Arslankoy, southern Turkey, Wednesday, Oct. 16, 2013. 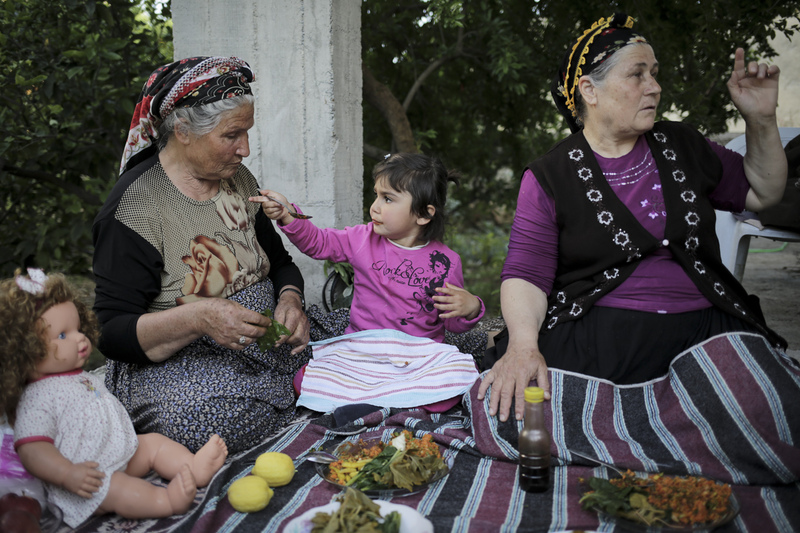 Seher Dagduz, age 63, left, an actress in the Arslankoy Theater Group, sits with her granddaughter and Ummiye Kocak, the founder and director, in a village near Adana, southern Turkey, Friday, April 26, 2013. 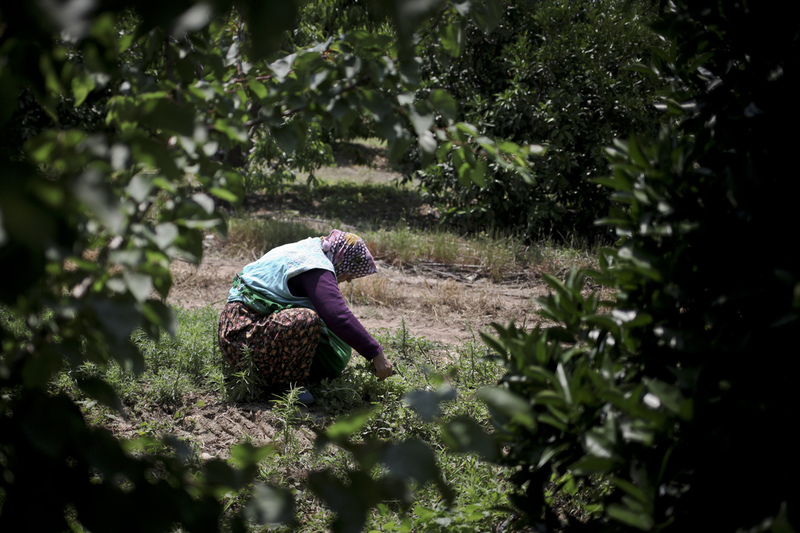 Ummiye Kocak, the founder and director of the Arslankoy Theater Group, picks herbs for dinner after working in a peach orchard, near her village of Arslankoy, southern Turkey, Wednesday, Oct. 16, 2013. 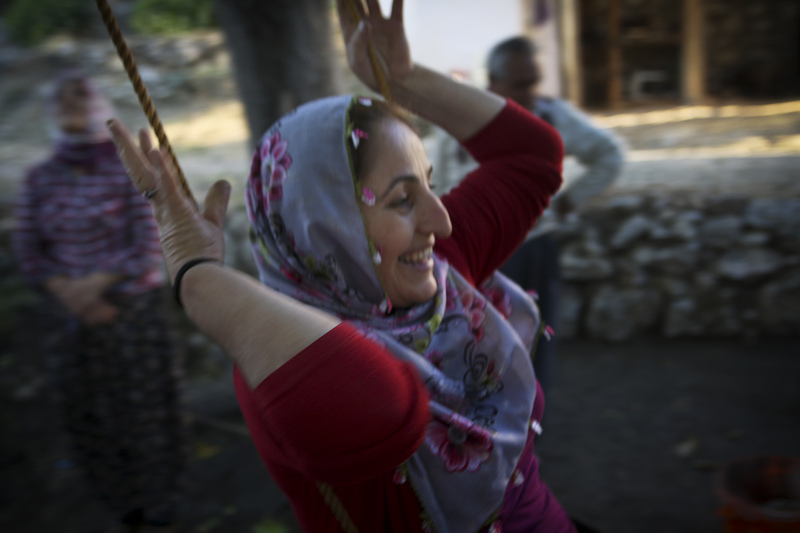 Seher Cuhadar, age 47, an actress in the Arslankoy Theater Group, plays on a swing in the village of Arslankoy, southern Turkey, Tuesday, Oct. 15, 2013. 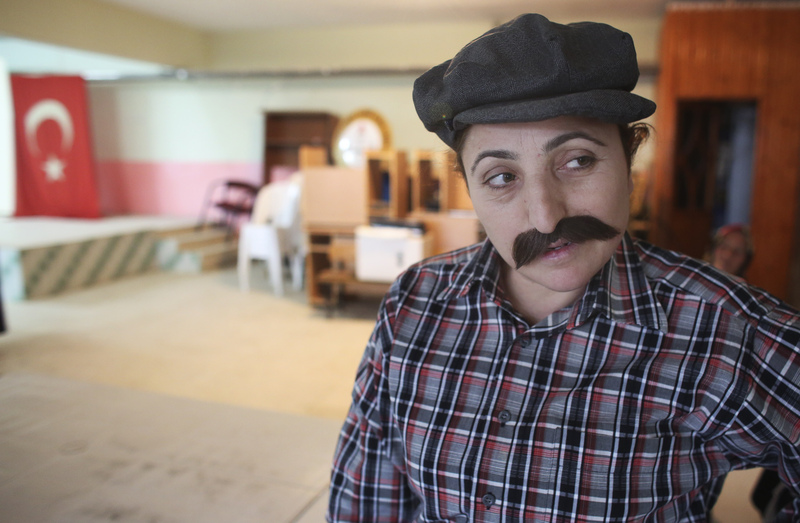 Seher Cuhadar, age 47, an actress in the Arslankoy Theater Group, poses for a picture during a dress rehearsal at the local school, in the village of Arslankoy, southern Turkey, Wednesday, Oct. 16, 2013. 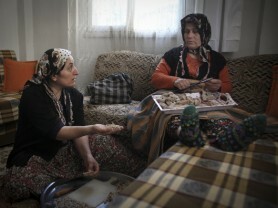 Seher Cuhadar, age 47, an actress in the Arslankoy Theater Group, left, makes dinner with Ummiye Kocak, their founder and director, in the city of Adana, in southern Turkey, Thursday, May 16, 2013. 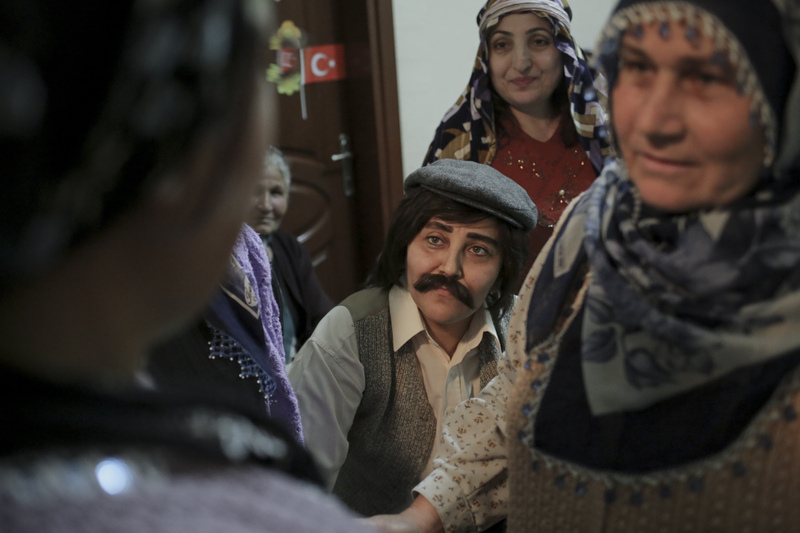 Seher Dagduz, age 63, left, is kissed by Cennet Sener, before a performance at small village in southern Turkey, near Adana, Wednesday, May 15, 2013. 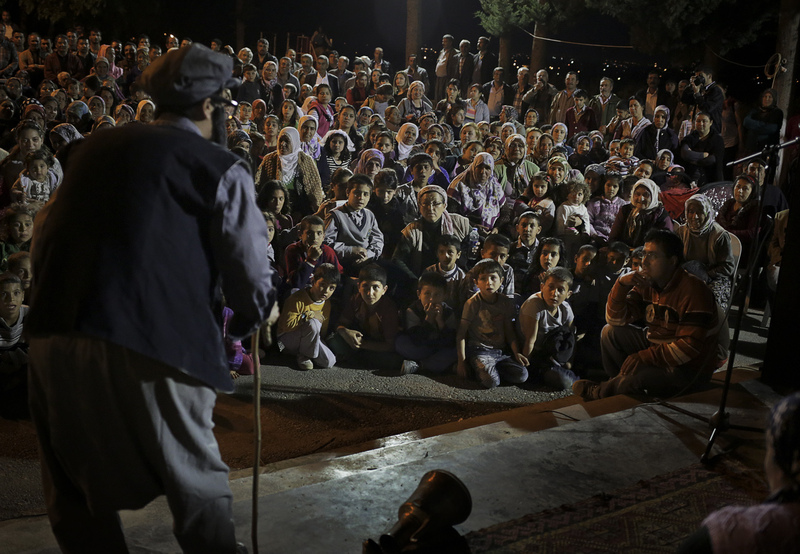 Ayfer Sen, an actress in the Arslankoy Theater Group, dressed as a grandfather, performs on stage a make-shift stage outside a school for villagers, some of whom have never seen a play before, in the village of Civanyaylagi, southern Turkey, Wednesday, April 24, 2013. 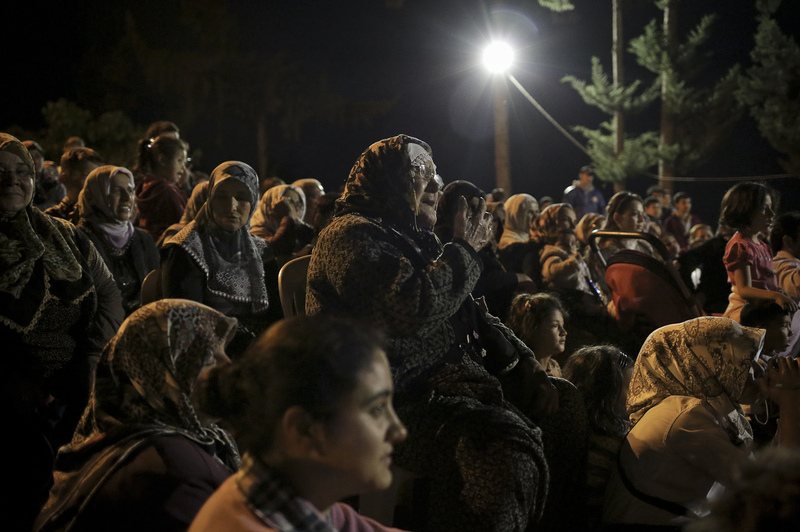 Women from the Arslankoy Theater Group, come back to the home of Ummiye Kocak, the director and founder, after a dress rehearsal at the local school, in her home village of Arslankoy, southern Turkey, Wednesday, Oct. 16, 2013. 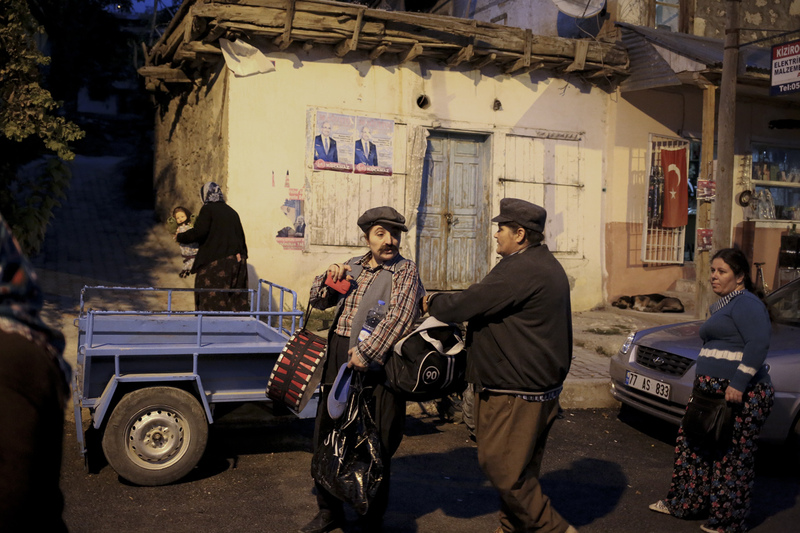 Ummiye Kocak, right, the founder and director of the Arslankoy Theater Group, walks home with a friend after a dress rehearsal at the local school, in her village of Arslankoy, southern Turkey, Wednesday, Oct. 16, 2013. 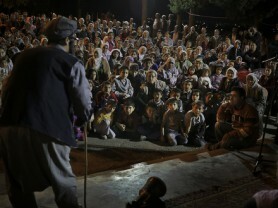 A music festival was held on the planet of Tatooine from Star Wars, in Tunisia. 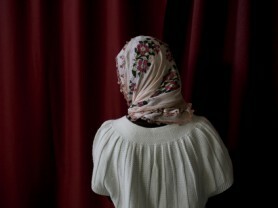 Vignette documented the rave and many of the famous sets around the country.